Directions: Located in downtown Vancouver. Surrounded by Canada Place and the Port of Vancouver. Less than 5 minutes walk from the Waterfront station. You can get there by skytrain (both Canada line and Expo line), buses and Seabus. Personally do not recommend driving as parking space may be difficult to find and pricey in the downtown area at times. 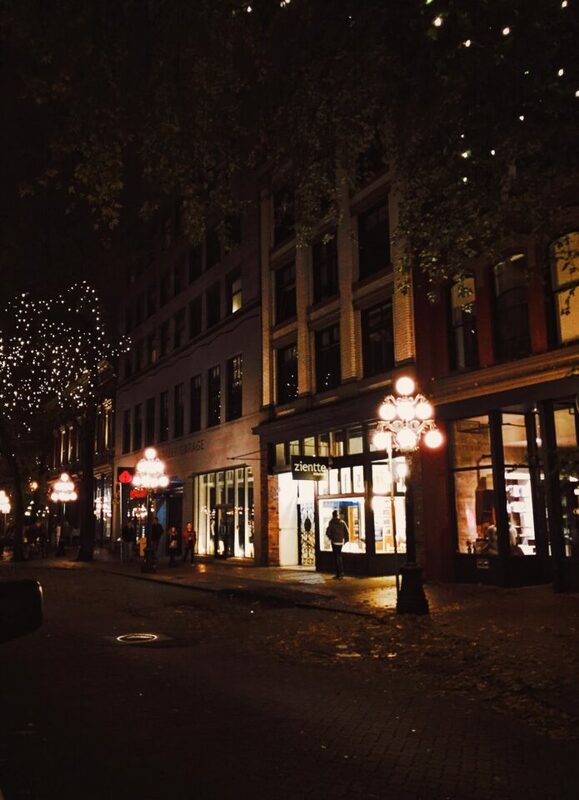 Born in 1867, Gastown is now home to many coffee shops, souvenir stores, restaurants and nightspots. You can suddenly get a different buzz once you enter this area as the architecture here delivers a different feeling from the rest of the city. Narrowed streets and stone pavement. All the historical buildings are well-preserved. 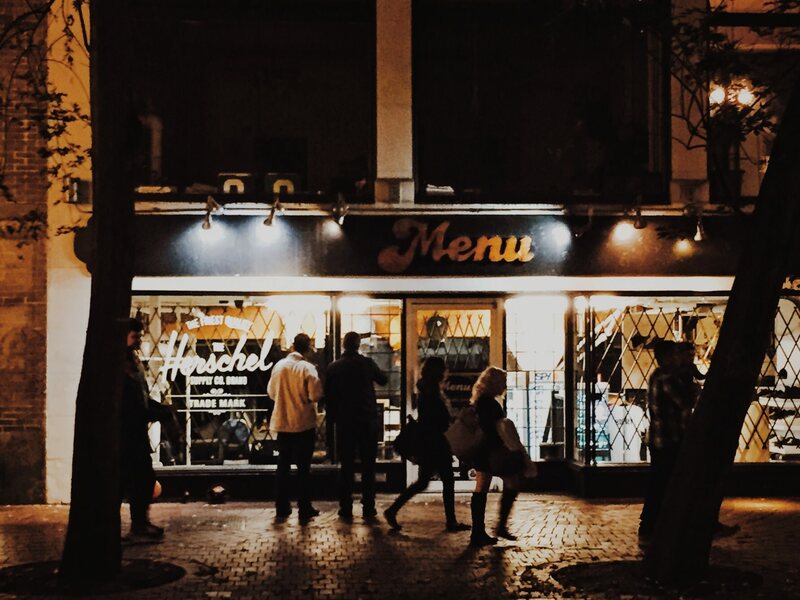 I find the night times here most attractive. 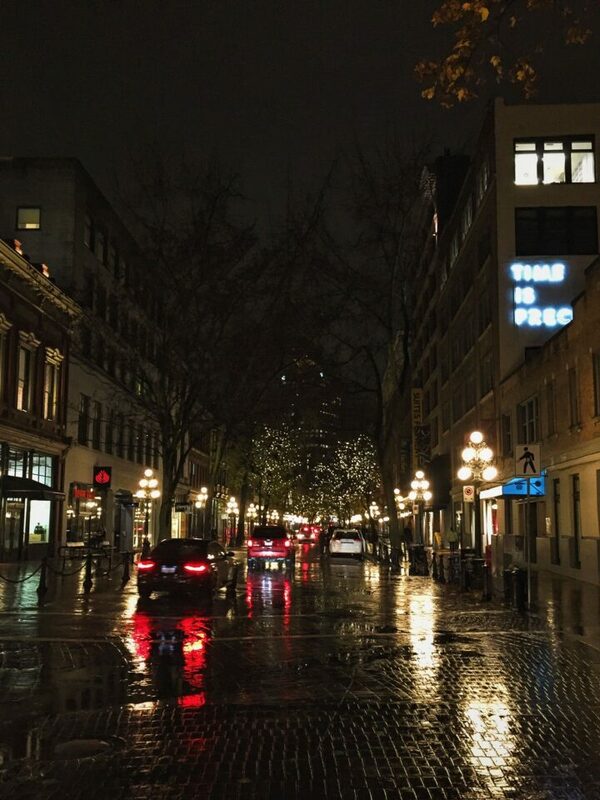 When the night comes, the trees are all lit up and sometimes when it’s drizzling(which seems to happen quite often in Vancouver), the stone pavement reflects the light from its surroundings. 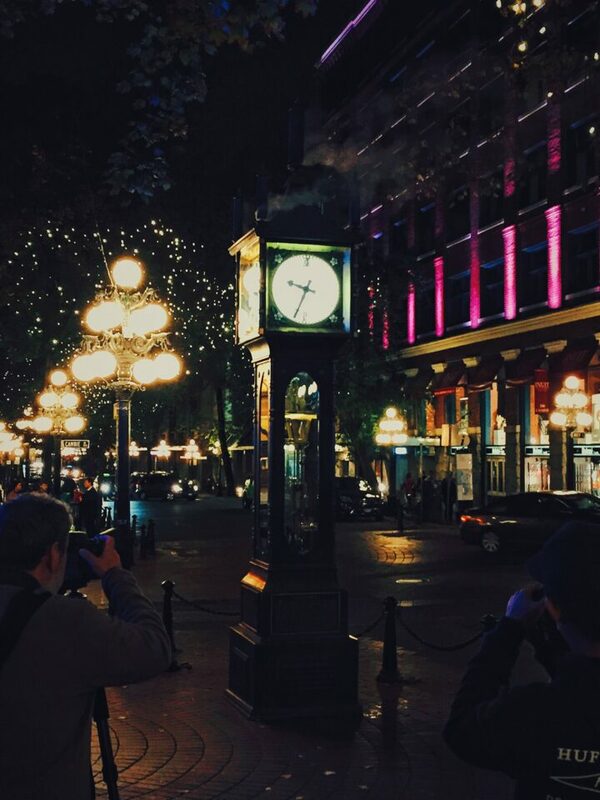 Also, the steam clock is a good photo spot as it is definitely one of the icons of Gastown. Sometimes you can see photographers setting up tripods in front of the steam clock.